Wardrobe Import: The best thing since leather? Tweed and leather. The perfect addition to one's closet is a piece so versatile and chic it will speak volumes whatever you wear it with. 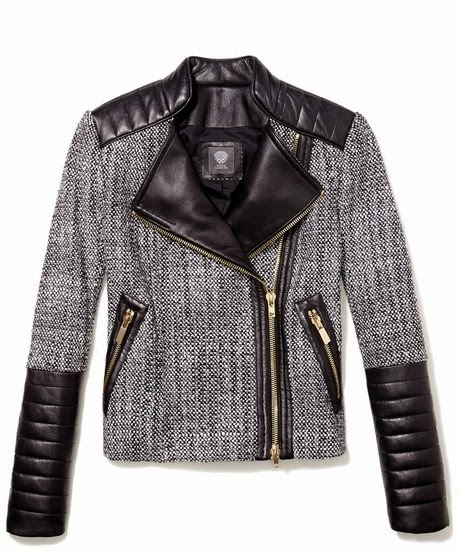 Vince Camuto's Black Tweed Faux Leather Moto Jacket is the best of two worlds: elegant tweed with an edgy touch of zippers, a motorcycle cut and leather patches. Kimonos! Never out of style.